Don't want to dual-boot your Mac or Linux PC to run one or two Windows apps? Don't want to install a full virtual operating system for them? CodeWeaver's latest version of CrossOver 12.5 may be just what you want. Most Mac and Linux users think anything Windows can do their operating systems can do better. Often, they're right, but then there comes that day when they really need to run that one special Windows application and then they're stuck. Run Windows programs from your Linux desktop or Mac? With CrossOver, it's easy. There are many ways of handling this. Some people keep old Windows PC around; others dual boot their computers; and quite a few run virtual machines (VM)s of Windows on their Linux PCs and Macs. That's all fine, but it's also a fair amount of trouble. Then, there's CodeWeaver's approach: Use a program, CrossOver, which enables you to install and run the one or two Windows applications you need on your favorite operating system. CrossOver is based on the open-source project Wine, an implementation of the Windows application programming interface (API) on top of the Unix/Linux operating system family. For each application, CrossOver/Wine creates a small Windows virtual machine just for that program. You actually don't need CrossOver to run Windows applications on Linux or a Mac. You can do it with Wine alone -- if you know precisely what you're doing. 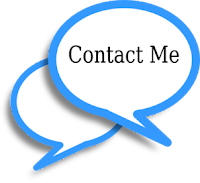 What CrossOver gives you is easy, automated installation of Windows applications, and technical support. And in this latest version, the CrossOver interface has been improved so it's easier than ever to install and manage Windows applications. The latest version -- CrossOver 12.5, which is based on Wine 1.6 -- supports thousands of Windows programs. These include: Quicken, Adobe Photoshop, various versions of the Microsoft Office suite; and, of course lots and lots of games. On the fun side of computing, CrossOver supports Guild Wars, World of Warcraft, Star Wars: The Old Republic, and thousands of others. Not all programs run equally well. 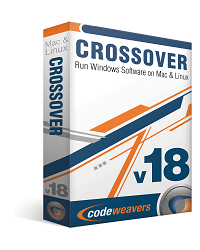 Before you invest in buying CrossOver, which runs $59.95, you'll want to take CodeWeavers up on its offer of a free two-week trial to make sure that your particular must-have program will run right with it. In particular, this latest version offers better support for Microsoft Outlook, Quicken, Internet Explorer 7, and improved compatibility with the Microsoft Office suite. The company has also fixed several crashes and made numerous usability improvements. This edition also offers a real improvement in its interoperability with Mac OS X. CrossOver 12.5, which will run with Snow Leopard or later, now has the"Mac Driver" technology enabled by default for all applications. 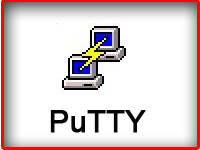 The company claims that this brings improved integration with the OS X desktop environment and improves functions such as drag-and-drop, command-tab switching, Dock and Menu Bar integration, and window transparency. In my limited testing with my Mountain Lion-powered Mac Mini, Mac Driver lived up to these claims. On Linux, CrossOver boasts a new user interface. This makes it much easier to launch your installed Windows applications. I also found it easier in general to install Windows apps on Linux with CrossOver 12.5. CrossOver isn't perfect. Many Windows applications won't run properly with it. But, many will work with it, and if you only need a couple of Windows apps to make your Linux or Mac computing life complete then CrossOver may well be exactly what you need. Give it a try and find out for yourself. It won't cost you a thing.